Significant growth over the last 20 years has positioned us as an industry leader in chemical manufacture. This is as a direct result of our extensive facilities which now encompass all QC, development, blending, reacting, chemical manufacturing and warehousing facilities within our site. Our on-site Health & Safety department consistently ensure all accreditations and standards are met to preserve our dedication in achieving quality for all our customers. 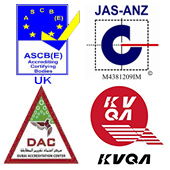 Please follow the links below to discover more about our facilities and accreditations. Please click on any of the images below from our gallery for a closer look at Krunal Group Company. Access all the latest product, company and industry news updates here from our very own blog Krunal Group Chemistry including regular product focus feeds providing you information on various chemicals available from Krunal Group.